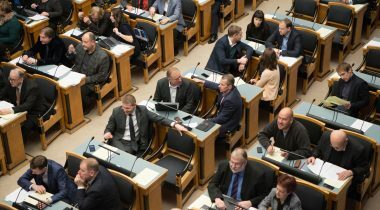 At Wednesday’s sitting of the Riigikogu, the second reading of a Bill concerning tax changes was at the focus of attention. Before that, six Acts were passed. Of the 157 motions to amend the Bill concerning tax changes, 139 were voted on, because recesses of up to ten minutes were requested before votings on the motions to amend. The sitting ended on Thursday at 9.46 a.m., and the second reading of the Bill concerning tax changes will be continued at Thursday’s sitting at 10 a.m.
Chairman of the Finance Committee Mihhail Stalnuhhin and Minister of Finance Sven Sester explained the planned tax changes to the Riigikogu on Wednesday. 22 members of the Riigikogu took the floor during the debate. The second reading of the Bill that had been held on 7 December had been suspended on the motion of the Finance Committee. Under the Bill on Amendments to the Income Tax Act, the Social Tax Act and Other Acts (302 SE), initiated by the Government, employers will have the possibility to compensate the costs incurred for the promotion of employees’ health to the extent of 100 euro in a quarter without it being taxed as a fringe benefit. The amendment will enter into force in 2018, and it will be established for a term of five years. The Bill will also ensure that the average pension is exempt from income tax in 2017. For that, the increased basic exemption for pensions will be raised to 2832 euro per year. According to the Bill, the social tax exemption for sickness benefit paid for the second and third day of sick leave enters into force as of 1 January next year. For the purposes of equal treatment, the Bill extends the range of persons who are entitled to income tax exemption in the case of allowances and benefits paid when a regular official, assistant police officer, volunteer rescuer or person engaged in emergency situation work is killed or dies, or his or her work ability decreases. 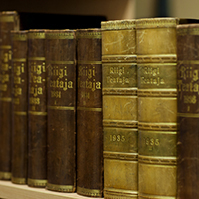 At the sitting of the Riigikogu on 7 December, it was decided to introduce into the Bill amendments concerning the reform of basic exemption. The income tax rate will remain at 20 per cent. The general rate of basic exemption will raise to 500 euro per month as compared to the current 170 euro. The rate of basic exemption will however not be applied in the case of an income of 2100 euro or more per month. Tax exemptions related to children will remain in place in their current form. As of 2018, the new system will also replace the refunding to the low-waged. The average pension continues to be exempt from tax. The VAT on accommodation services will remain at 9 per cent, and the planned rise to 14 per cent will be cancelled. The half-percent lowering of the social tax will be cancelled. The amendments will reduce the excise duty rates for the main fuels and harmonise the excise duty rates for gaseous fuels. The rise of the excise duty rate for diesel fuel planned for 2018 will be cancelled. There is also a plan to postpone the rise of fuel excise duty rates planned for 2017 to the beginning of February, instead of the beginning of January. The excise duty rate for natural gas is planned to be raised by 25 per cent in 2018-2020. There are also plans to additionally raise the excise duty rates for low-alcohol beverages – beer, cider and wine. The benefit for families with many children paid to families raising three to six children is planned to be raised to 300 euro per month, and the benefit for families with seven or more children will be raised to 400 euro per month. 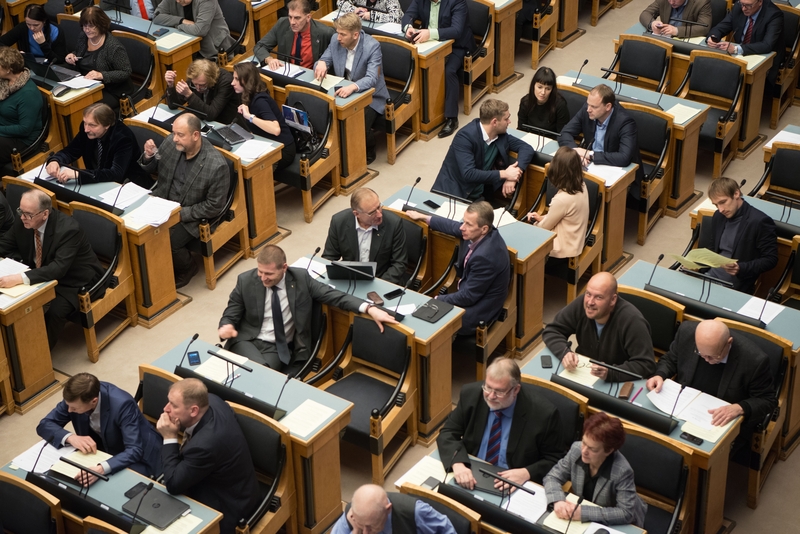 At Wednesday’s sitting, Chairman of the Finance Committee Mihhail Stalnuhhin introduced the 157 motions to amend the Bill that had been submitted after the sitting of the Riigikogu on 7 December when the second reading of the Bill had been suspended. The provisions relating to the taxation of automobiles were omitted from the Bill. Provisions relating to private health insurance have been introduced into the Bill. An amendment will enable employers to compensate also private health insurance in the future. The possibility of joint declaration of income of spouses will be retained in the case of housing loan interests, training expenses and the increased basic exemption for children. The limits for voluntary deductions will apply individually. This means that the taxpayer can deduct from his or her taxable income the training expenses incurred, housing loan interests paid and donations made in the taxation period to the extent of up to 1200 euro but not more than 50 per cent of the taxable income. If deductions exceed these limits, the taxpayer can transfer the unused part of training expenses and housing loan interests to his or her spouse, who can deduct them from his or her taxable income, keeping in mind that, together with his or her own deductions, they must not exceed the above-mentioned limits either. The limits will not apply with regard to increased basic exemption relating to maintenance of children which is only limited by the amount of taxable income. The Minister of Finance Sven Sester gave an overview of the planned amendments to the Bill which would concern approximately one per cent, that is, 0.1 billion euro, of the 9.5 billion volume of next year’s state budget. As the most important, he mentioned the reform of basic exemption, that is, a sharp increase of the basic exemption to 500 euro for low and medium salaried people. As a result of an amendment, low-salaried people will receive an income tax refund for 2016 in 2017, and the new tax reform would be implemented in full already in 2018. He said that the government coalition wished to keep the social tax at today’s level. The Minister of Finance noted that it is planned to lower the limit for the deduction from taxable income to 300 euro in the case of housing loan interests, and the tax exemption of interests on deposits will be eliminated. He said that the possibility of joint deduction of expenses will be retained. “Differently from the current procedure, the basic exemption of either of the spouses cannot be added up when filing a joint income tax return, but the new basic exemption rate of 500 euro per month exceeds the maximum level of basic exemption that would have been possible to be used in the event of filing a joint income tax return by both spouses,” Sester said. Another urgent amendment, in Sester’s words, is keeping the VAT rate on accommodation services at the current level, that is, at nine per cent, and cancelling the planned 14 per cent rise. Third, the excise duty rates for low-alcohol beverages – beer, cider and wine – are planned to be raised so that difference with the excise duty rates for strong alcoholic beverages will diminish. Besides, the alcohol duty rise planned for 1 January both in 2017 and 2018 is going to be postponed to February. Sester also explained the amendments concerning the duty rates for fuels. The rise of the excise duty rate on diesel fuel planned for 2018 is going to be cancelled. The duty rates for natural gas are planned to be raised additionally in 2018–2020, as a result of which the final price of natural gas will rise by about 2.5–5.4 per cent every year, compared to the previous year, depending on the volume of gas consumption by the consumer. Sester said that the Government had promised to look for possibilities to mitigate the excise duty policy for energy intensive enterprises in the first half of the coming year. As of 1 July 2017, a package of harmonisation of the excise duty rates for gaseous fuels is planned to be implemented. During the debate, Deniss Boroditsh, Kalle Laanet, Urmas Kruuse, Kalle Palling, Taavi Rõivas, Terje Trei, Hanno Pevkur, Kersti Sarapuu, Maris Lauri, Andres Herkel, Igor Gräzin, Keit Pentus-Rosimannus, Aivar Sõerd, Arto Aas, Remo Holsmer, Eiki Nestor, Jaak Madison, Andres Ammas, Madis Milling, Helir-Valdor Seeder, Kristen Michal and Märt Sults took the floor. Representatives of the opposition who took the floor in the debate criticised the motions to amend the Bill, and reproached the coalition for little involvement, the hasty proceedings on the Bill, the establishment of a progressive tax system, and the lack of impact analyses of the Bill. 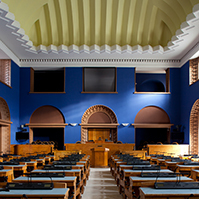 The Riigikogu approved with 87 votes in favour (7 against) the Act on Amendments to the Aliens Act and Other Acts (251 SE), initiated by the Government, which facilitates and simplifies temporary staying and residing in Estonia for aliens who contribute to the development of the economic environment of Estonia. For that, application for visa and temporary residence permit is simplified for aliens who are engaged in startup activity. To create a better environment for foreign investors and to attract foreign investments, the basis for granting a temporary residence permit to big investors is provided for. An alien who has made a direct investment of at least one million in an Estonian company which invests funds mainly in Estonian economy is deemed to be big investor. 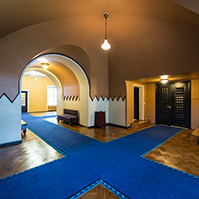 The conditions for holding a residence permit by aliens studying in Doctoral study is simplified by allowing part-time studying under certain conditions. 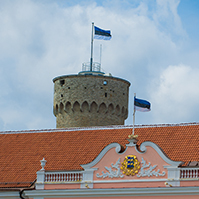 Also, settlement of aliens with a Doctoral level degree to Estonia is facilitated by allowing the issue of a residence permit for settling permanently in Estonia under simplified conditions. In its Action Programme, the Government has set an objective in the development of the information and communication technology sector that more specialists in this field, and their families, could settle in Estonia. In order that more information and communication technology specialists and their families could settle in Estonia, aliens who are granted a residence permit for working in information and communication technology are excluded from the immigration quota. Another important amendment concerning residence permits provides for the transition from the proceedings based on extension of residence permit to the proceedings based on follow-up verification. Longer periods of validity of residence permits are provided for, ten years as a general rule, and instead of the scrutiny before the grant of a residence permit, the focus is taken to follow-up verification, that is, it will be verified more strictly whether the person has settled in Estonia and whether his or her activity corresponds to the conditions of holding the residence permit. In addition, the Act provides for several other amendments. For example, an alien residing in Estonia on the basis of a residence permit no longer has to register a more than 183-day stay outside Estonia, all aliens staying legally in the state are able to apply for a residence permit while they are in Estonia, and short-term employment for up to five days during a 30-day period is allowed without registration of short-term employment. During the proceedings on the Bill, it had also been decided to abandon the requirement of the submission of various standard applications which means that, in the future, a person who wishes to apply for a new document, for instance, no longer has to submit a standard application, and the submission of data is sufficient. Also, in the course of the proceedings, an amendment was made to the Bill according to which big investors are not included in the immigration quota either. Different parts of the Act will come into force on different dates. For example, the amendments relating to start-up companies and the amendments relating to the residence permit of big investor enter into force on 18 January next year. The amendments relating to learning mobility come into force as of April next year, and the transition from the proceedings based on extension of residence permit to the proceedings based on follow-up verification come into force as of October next year. Jaak Madison, who took the floor on behalf of the Estonian Conservative People’s Party Faction in the debate, said that the Estonian Conservative People’s Party opposed the Bill, and pointed out several reasons and dangers. Liisa Oviir, who took the floor on behalf of the Social Democratic Party Faction, supported the Bill and said that the Estonian business environment had been waiting for this Bill for a long time. Hanno Pevkur, who took the floor on behalf of the Reform Party Faction, said that it is a very good Bill that will help the Estonian open economy grow and big investors come to Estonia. Mart Nutt, who took the floor on behalf of the Pro Patria and Res Publica Union Faction, considered the Bill very necessary in terms of economy. The Riigikogu approved with 81 votes in favour (7 against) the Act on Amendments to the Aliens Act and Amendments to Other Associated Acts (252 SE), initiated by the Government, which transposes into national law the European Union directives on seasonal workers and intra-corporate transferees. The Act eliminates restrictions in sectors where short-term employment is permitted in Estonia. Also, general conditions for the registration of short-term employment are provided for, and the time of short-term employment in Estonia is extended to nine months in a year, instead of the current six months. Short-time employment is permitted for scientists, teaching staff and top specialists during the whole duration of legal stay. In order to enable aliens staying temporarily in Estonia to use the period prescribed for short-time employment to the full extent, it is possible to grant a long-stay visa with a period of stay of up to one year, instead of the current six-month period of stay. On the basis of the Seasonal Workers Directive, the definition of seasonal work and the conditions of short-time employment in Estonia for seasonal workers are provided for in the Act. For example, upon the registration of short-term employment as a seasonal worker, a work contract has to be presented, and proper accommodation of the worker in Estonia must be ensured. A new sub-type for working with a residence permit, “temporary residence permit for intra-corporate transfer”, is established. Managers, specialists and graduate trainees who are transferred within a corporation are able to apply for this residence permit. The maximum duration of the transfer is three years for managers and specialists, and up to one year for graduate trainees. 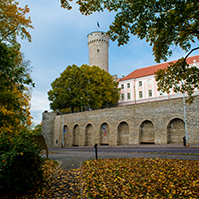 It is also possible to work in Estonia with an intra-corporate transferee residence permit of another Member State. The conditions for application for the issue of a temporary residence permit for intra-corporate transfer are provided for. For example, intra-corporate transferees must have concluded a work contract with a business located outside a European Union Member State. In the case of short-term employment and working with a residence permit, it is provided that the average annual gross earnings in Estonia must be paid to aliens. During the proceedings on the Bill, it had been decided to provide for a specification with regard to seasonal workers and to exempt them from the wage requirement. However, the Government will establish a list of activities dependent on the passing of the seasons to whom the specification applies. The Act enters into force on 17 January next year. Henn Põlluaas, who took the floor on behalf of the Estonian Conservative People’s Party Faction in the debate, said that the Estonian Conservative People’s Party did not support the Bill. He said that the Bill would extend the validity of the visa of “seasonal workers” and would allow them to work for 18 months in a row during a period of two years, but this cannot be considered seasonal work. In Põlluaas’s opinion, this would facilitate immigration and would take away jobs from young people in Estonia. Ivari Padar, who took the floor on behalf of the Social Democratic Party Faction, supported the Bill and saw availability of labour force as a problem. Taavi Rõivas, who took the floor on behalf of the Reform Party Faction, supported the Bill. He said that the economic development working group had found in its analysis that labour shortage was the greatest problem in the Estonian economy. Ken-Marti Vaher, who took the floor on behalf of the Pro Patria and Res Publica Union Faction, said that the Pro Patria and Res Publica Union supported the Bill. In his opinion, with the Bill, a reasonable compromise had been found whereby the mandatory remuneration level had been lowered to the average wage in Estonia. The Riigikogu approved with 77 votes in favour (3 against) the Act on Amendments to the Law of Obligations Act and Amendments to Other Associated Acts (321 SE), initiated by the Government. The amendments ensure availability of basic payment services linked to the payment account to consumers. This includes, for example, opening a payment account, placing funds in a payment account, withdrawing cash, initiating direct debits, credit transfers and payment card transactions, etc. Credit institutions may only charge reasonable fees for basic payment services. According to the Act, in the future, the fees will be established taking into account national income levels and the average fees charged by credit institutions for payment services linked to the payment account. The Act enables the consumer to switch banks or other payment service providers more easily within a Member State. The Act provides for new information requirements for a fee information document. Banks will have an obligation to provide the consumer, at least annually and free of charge, with a statement of all fees incurred for payment services linked to a payment account. The Act transposes the EU Payment Accounts Directive. The deadline for transposition was 18 September. The Act enters into force nine months after the entry into force of the European Commission implementing Regulation. The Riigikogu approved with 85 votes in favour the Investment Funds Act (297 SE), initiated by the Government, which makes the Estonian funds market more attractive and facilitates competition in the pension fund market. The Act facilitates the entry of new pension management companies in the market, and makes the exchange of the units of a pension fund significantly cheaper for the people. Namely, the limit for the redemption fee for units collected will fall from the current one per cent to a maximum of 0.05 per cent in the case of conservative pension funds, and to 0.1 per cent in the case of other mandatory pension funds. In the future, the management company will not receive the redemption fee but it will go to the fund. The Act extends the choice of investment funds that that can be established in Estonia. New fond types will enable Estonian management companies to better compete with the management companies of other countries, and will contribute to the general development of Estonian fund management. The Act provides for the possibility to establish unit trusts, that is, funds operating in the form of limited partnership, in Estonia. After the new Act enters into force, it will also be possible to establish public limited company funds, which are distinctive in comparison with regular public limited companies and the current public limited companies in that they do not have fixed share capital (“public limited company with variable share capital”). In comparison to the current Act, the Act makes a clear distinction between funds directed at retail investors and those directed at professional investors – so-called public and non-public funds. The Act makes several other amendments concerning the rules and prospectus of investment fund, the liability of depositories, and the regime for failure of funds. These amendments will simplify the creation of investment funds and set clearer frames for the obligations of management companies. The Finance Committee had made 21 amendments to the Bill during the second reading, several of which are connected with public limited company funds coming to the market, and index funds. For example, the possibilities for pension funds to invest more in index funds were widened. The Act enters into force on 1 January next year. The Riigikogu approved with 71 votes in favour (7 abstentions) the Act on Amendments to the Health Insurance Act and the Social Tax Act (301 SE), initiated by the Government, which restores the dental care benefit for adults to the extent of up to 30 euro per year as of 1 July next year. In the case of the elderly, pregnant women, mothers of children under one year, and other people who already receive the benefit, the dental care benefit increases to up to 85 euro per year. According to the Act, the Health Insurance Fund will compensate the treatment bills for primary dental care services in an amount of up to 30 euro per year to adults with health insurance if a treatment bill or the total amount of treatment bills sent to a patient is 60 euro per year. Old-age pensioners, persons receiving pension for incapacity for work and persons with partial or no capacity for work, persons of over 63 years of age, pregnant women, mothers of children under one year, and people with an increased treatment need will receive dental care benefit up to 85 euro every year. The Estonian Health Insurance Fund will pay for 85 per cent of the treatment bill for primary dental care services with a calculation that a treatment bill or the total amount of treatment bills sent to a patient will not exceed 100 euro per year. At present, the state compensates 19.18 euro for dental care to the elderly, and the dental care benefit for pregnant women and mothers of children under one year is 28.77 euro at present. The benefit for dentures, 255.65 euro per three years, will be retained for the elderly. In order that a person could receive the benefit for dentures as conveniently as possible, he or she will no longer have to submit applications in the future, but the Estonian Health Insurance Fund will organise payments with the manufacturer of dentures. Compensation of other dental care services is also non-monetary, which means that dental care benefit is paid to the dental care clinic according to the contract entered into with the Health Insurance Fund and the price list of health services. The patient does not receive the 30-euro compensation. The current benefits for children and emergency care will not disappear. The Estonian Health Insurance Fund will pay for the dental care for all insured persons under 19 years of age and the emergency care for adults with health insurance. The emergency care for persons without insurance will be paid from the state budget. The Act enters into force on 1 July next year. Monika Haukanõmm, who took the floor on behalf of the Free Party Faction in the debate, supported the restoration of dental care benefits. In her opinion, however, monetary compensation should have been established, in order that a person could choose a dentist, pay the bill, and submit an application for dental care benefit to the Health Insurance Fund. Helmen Kütt, who took the floor on behalf of the Social Democratic Party Faction, supported the Bill. She said that it is important that people no longer have to apply for dental care benefit from the Health Insurance Fund. Viktor Vassiljev, who took the floor on behalf of the Centre Party Faction, and Jüri Jaanson, who took the floor on behalf of the Reform Party Faction, supported the Bill. The Riigikogu approved with 82 votes in favour the Act on the Ratification of the Protocol Amending the Protocol between the Government of the Republic of Estonia, the Government of the Republic of Latvia and the Government of the Republic of Lithuania Concerning the Status of the Baltic Defence College and Its Personnel (330 SE), initiated by the Government, which provides for reimbursement of VAT paid on goods purchased in Estonia during the first year to foreign personnel allocated to the College. For that, the Protocol of 1999 needs to be changed. Only personnel allocated to the College by other States are entitled to apply for reimbursement, and this can be done during a period of one year from taking up duties at the College. Funds for payment of the reimbursement are provided for in the budget of the Ministry of Defence. 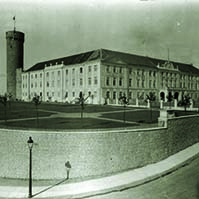 The Baltic Defence College is an educational institution established by an intergovernmental agreement between Estonia, Latvia and Lithuania in 1998, located in Tartu. It trains mainly officers of the member states of NATO and EU and the “Partnership for Peace”. The Protocol concerning the status of the College and its personnel was concluded in 1999. It provides for a VAT incentive on goods purchased for official use for the College as an institution, but not on goods purchased for the allocated personnel for their personal use. The Minister of Finance Sven Sester gave to the Riigikogu a survey on the stability supports granted by the European Stability Mechanism (ESM) and Estonia’s participation in the ESM. The Minister of Finance said that, at the moment, Spain, Cyprus and Greece are ESM customer states, but only Greece is in the active phase. The programme for Spain, which had aimed to put the banking sector on a sound footing, had been completed in 2013. The assistance programme for Cyprus was successfully completed in March this year. It had aimed to restructure the financial sector. Sester said that Spain and Cyprus are under post-programme surveillance which means regular surveillance missions by the European Commission. Sester gave an overview of the programme for Greece that had been approved for three years in 2015 with the volume of 86 million euro. Six payments in the amount of 31.7 billion euro depending on meeting the interim targets have been made to Greece. Greece is using the loan to service the government debt, to restructure the banking sector and to cover up the budget deficit. “Greece is given assistance to implement governance reforms and thereby to increase the competitiveness of the economy. Greece achieved the targets set for the first inspection in June this year,” Sester said. He specified that Greece had recapitalised four systemic banks, the number of public sector employees had decreased by 25.9 per cent starting from 2009, and consequently the salary fund had decreased by 31.4 per cent. In addition, Greece had carried out privatisations. For example, 14 regional airports and the largest port of Greece, the port of Piraeus, have been privatised by today. Sester noted that the IMF has not joined the programme yet. “Both the Commission and the European Central Bank, with the help of the Eurogroup, are trying to create a situation where the IMF would have the desire and opportunity to join the third assistance programme for Greece in the future. At the same time, the Eurogroup precludes the possibility of write-off of the principal amount of the debt, and stresses that all debt relief measures must remain within the framework of European Union law and the founding acts of the ESM,” Sester said. He added that, next year, work would continue with the third assistance programme for Greece which means regular inspections and the consequent payments. Martin Helme, who took the floor on behalf of the Estonian Conservative People’s Party Faction in the debate, said that the Minister of Finance had not answered the questions put to him. In the opinion of Maris Lauri, who took the floor on behalf of the Reform Party Faction, Greece has performed badly, has accepted the whole process with reluctance and therefore is not a reliable partner. Lauri expressed a hope that the European Commission would be stricter with regard to countries who do not meet the requirements. The Bill on Amendments to the State Legal Aid Act and Other Acts (299 SE), initiated by the Government, regulates the availability of legal counselling in more detail. The procedure for the competition for state legal aid will be changed. In the future, a contract will be concluded with the winner of the competition for up to five years. In the current procedure, there is no time limit, but in practice, an agreement is concluded for one or two years. According to the current procedure, support can only be given to non-profit associations or foundations. According to the Bill, it will be possible to give it to all legal persons, for example law offices. The Ministry of Justice will exercise supervision over the service. If a criminal offence in the second degree can be resolved in alternative proceedings and the suspect does not request the appointment of a counsel, the state will no longer have to appoint a counsel. It will be provided that people to whom a representative is appointed without their application in proceedings on petition in a civil matter will be released from the obligation to compensate for the state legal aid expenses. Higher than usual additional remuneration of the chairman of Viru County Court will be provided for to motivate the judges in the permanent service of other courts to stand as candidates for chairman of Viru County Court. The state register of state and local government authorities will be taken to the information system platform of the commercial register. During the second reading, the Legal Affairs Committee made three motions to amend the Bill which will preclude rejection of applications for state legal aid if an application is not submitted in Estonian, or, as an exception, in English if the domicile or seat of the applicant for state legal aid is in another Member State of the European Union. Also, an amendment was made to the Bill that was necessary for the functioning of the state legal aid in the case when a competition to find a provider of state legal aid fails. During the debate, Külliki Kübarsepp, Martin Helme, Valdo Randpere, Mihhail Stalnuhhin, Hanno Pevkur, Mart Helme, Henn Põlluaas, Jaak Madison, Andres Herkel, Oudekki Loone, Igor Gräzin, Madis Milling, Kalle Laanet, Ants Laaneots, Raivo Aeg, Eiki Nestor and Maire Aunaste took the floor. The Free Party Faction, the Conservative People’s Party Faction and the Reform Party Faction moved to suspend the second reading. The main reason was, as was pointed out in the debate, that the amendments provided for in the Bill would weaken the position of the Estonian language in the society. The result of voting: 38 members of the Riigikogu in favour and 55 against. Thus, the motion was not supported and the second reading of the Bill was concluded. The Bill on Amendments to the Penal Code and Amendments to Other Associated Acts (transposition of the directive on the freezing and confiscation of instrumentalities and proceeds of crime) (308 SE), initiated by the Government, will transpose the directive on the freezing and confiscation of instrumentalities and proceeds of crime which provides for the relevant minimum requirements in the European Union. The aim of the directive is to enhance confiscation of proceeds of crime. The deadline for the transposition of the directive was 4 October 2016. The current procedure relating to property associated with an offence will become stricter in Estonia. For example, anything additionally obtained or earned with property derived from criminal activity will be included in property obtained from an offence. In comparison to the earlier procedure, more property will be subject to confiscation. In the case of an offence, for example, in the future, the car used to flee can also be confiscated. In addition to the transposition of the directive, the procedure relating to evidence, confiscated property and found items will be organised. Among other things, the Tax and Customs Board or the Police and Border Guard Board will be designated as the authorised administrator of confiscated property depending upon the type of confiscated property or the body conducting proceedings in the offence. Earlier, county governments administered such property. The Bill will also increase the flexibility in finding the most useful application for confiscated property in the society. The current Act restricts the possibilities of the state to use confiscated property only to transfer and destruction. According to the Bill, in the future, it will be possible to find the most suitable use for confiscated property, for example, to put it to use for social or educational purposes. The current Act does not regulate the realisation of property that has remained in the custody of the state due to lack of interest by owner, and it obligates the depositaries of items to preserve all found items regardless of the state of the items or the possibilities to use them. The Bill will create the possibility to destroy a thing if depositing it is excessively costly, if it has no commercial value and if it is impossible to sell it in the existing form. The Bill will also enable the state to transfer or destroy evidence if the legal possessor of the evidence has not reclaimed it within six months after becoming aware of the decision on return. The Legal Affairs Committee made five motions to amend the Bill. Under the Penal Code, the court will have the right of discretion when making decisions, and according to amendments to the Code of Misdemeanour Procedure, the organisation of community service imposed for misdemeanours will be transferred to the Probation Supervision Departments in the area of government of the Ministry of Justice. According to the motions to amend, the entry into force of the Act is amended so that the provisions concerning the organisation of work of the Police and Border Guard Board, the Tax and Customs Board and county governments enter into force on 1 February next year, and the organisation of community service imposed for misdemeanours is transferred to the Ministry of Justice on the day following the day of publication of the Act in the Riigi Teataja. The sitting ended on Thursday at 9.46 a.m.